I’m kinda’ reeling in amazement. According to ‘a poll’* by the legendary selling channel, QVC, to celebrate the start of their beauty month, 2000 respondents were asked who they thought were the most beautiful women of the last Century and who they thought most deserved the title, ‘beauty icon’. I think the survey tells us more of the target demographic of QVC rather than being true to life but still, Cherlyl Cole at Number 2! C’mon. She’s a gorgeous looking Geordie lass but really, “beauty icon of all time”…no! 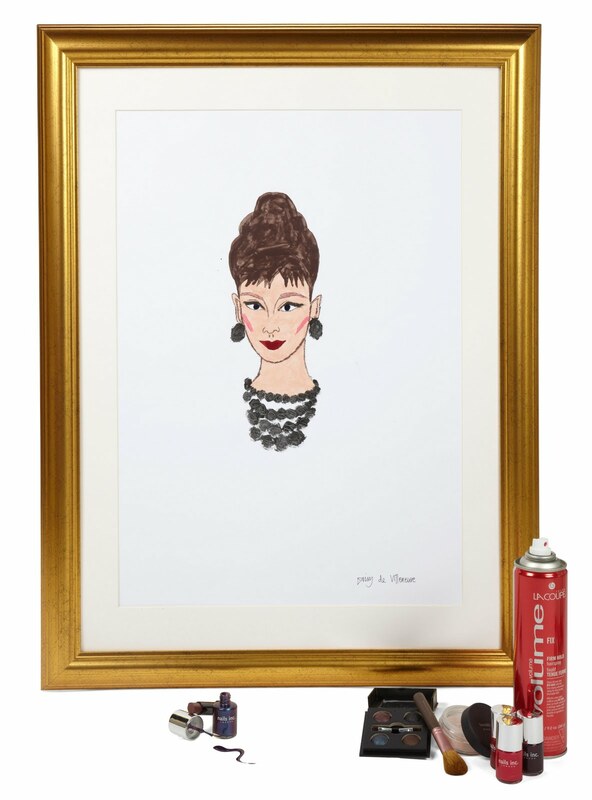 At number one of this prestigious poll (irony overload) is Audrey Hepburn. It’s got to be something to do with “Breakfast at Tiffanys” rather than Hepburn’s lifelong refined chic courtesy of Hubert de Givenchy. Our Cheryl’s at Number 2 with that little known blonde, Marilyn Monroe, at Number 3. Poor Marilyn. If only X Factor had been invented back then, she’d have had been a ‘shoe in’. At least she beat that dead beat Grace Kelly at Number 5. (NB. I feel like I’m doing my very own ‘Top of the Pops’ countdown). That only comes to 60%. Where’s my missing 40%, QVC? I’m having fun with my TOTP style countdown. Narrowly missing the tantalising top ten were Kylie Minogue, Beyonce Knowles and Audrey Tatou. I bet beautiful and highly famous Kylie, bootilicious Beyonce and French temptress Tatou are inconsolable. And, here comes my second ‘reel in amazement’ of the evening. 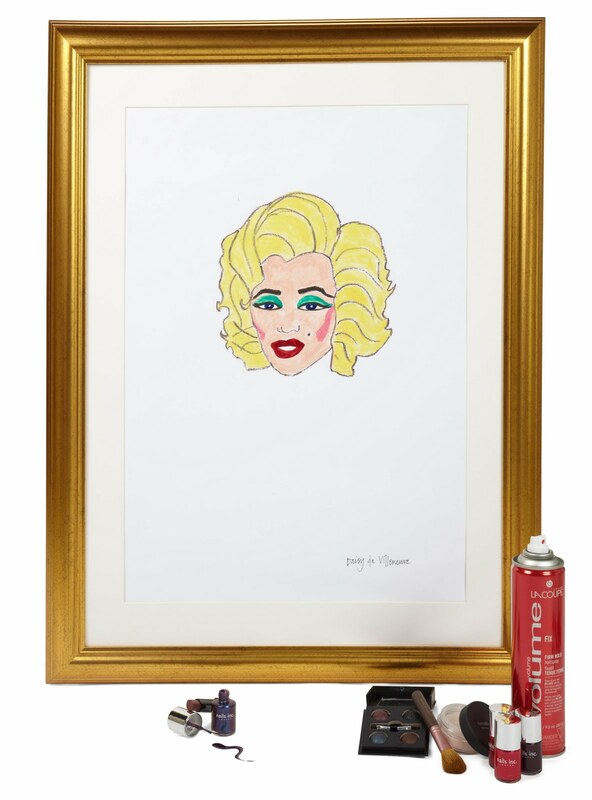 Super stylish fashion illustrator and vintage lover, Daisy de Villeneuve, was commissioned by QVC to create portraits of the top four beauty icons using make-up. Daisy allegedly used a whole range of products, all available on QVC, on her portraits including over 25 eyeliners, 20 lipsticks and 10 tubes of concealers and foundation. Fancy that. 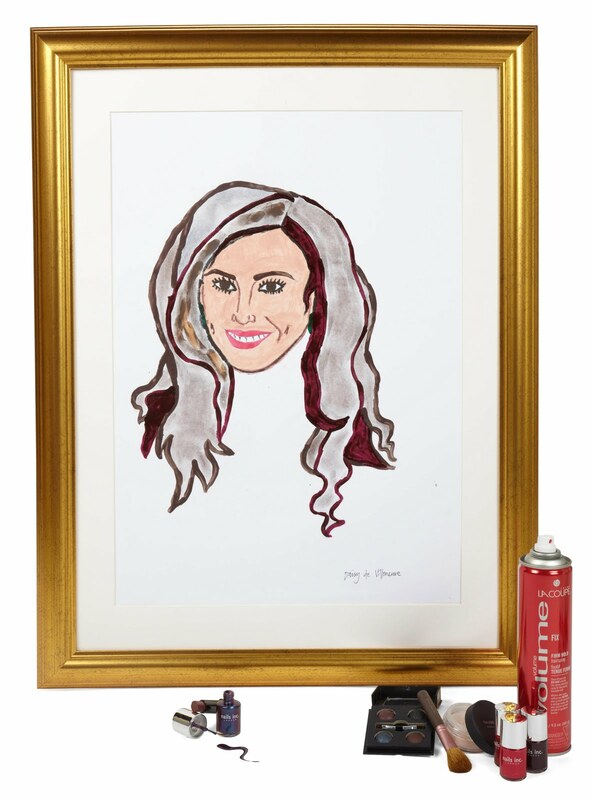 The good factor in all this PR hyperbole is that the make-up portraits will be auctioned by QVC with net proceeds being donated to Breast Cancer Care. That alone cannot be mocked. What do you think of polls like this? What do you think of the portraits? Who is your most stylish beauty icon of all time? Please leave a comment below or in the ‘shout mix’ box opposite. If you would like to vote for Katie Chutzpah in Cosmopolitan’s Blog Awards, please use the link at the top of the page above and vote under ‘lifestyle’.